Where does the name ‘Easter’ come from? Pagan traditions give us the English word Easter which comes from the word Eostre. According to Bede, the English monastic historian, the Anglo-Saxon word for April was “Eostre-monath” (the month of openings). It is important to note that Christians celebrated the resurrection of Christ long before it was called Easter, and the word they used for the celebration was Pascha, which derives from and is linked to the Jewish festival of Passover. Pascha was often celebrated in Eostremonath, so the English Christians began calling it Easter. 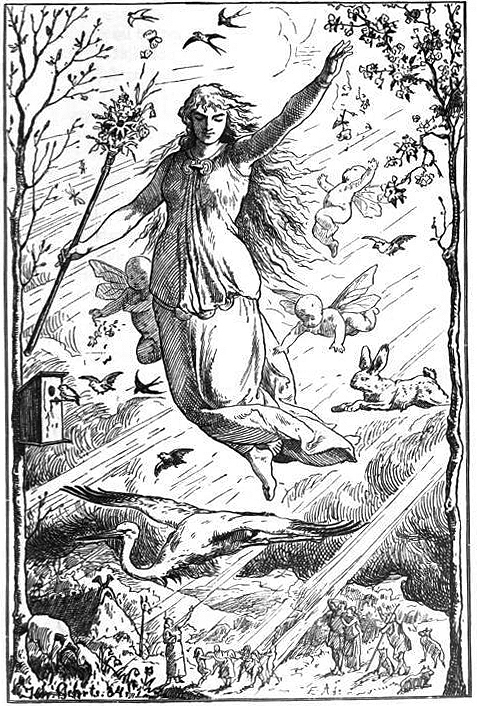 Bede also notes that the month was named after the Anglo-Saxon goddess Eostre. Gaiman described Eostre as a platinum blond, which is indicative of Eostre’s Nordic background. He also touches on Eostre’s attachment to nature and Spring, describing her as having eyes “the color of a leaf in spring with the sun shining through it.” When she walks, wildflowers bloom in her wake. What about the date moving all over the place? The Feast of Easter was well established by the second century. But there had been dispute over the exact date of the Easter observance between the Eastern and Western Churches. The East wanted to have it on a weekday because early Christians observed Passover every year on the 14th of Nisan, the month based on the lunar calendar. But, the West wanted Easter to always be a Sunday regardless of the date. To solve this problem the emperor Constantine called the Council of Nicaea in 325. The question of the date of Easter was one of its main concerns. The council decided that Easter should fall on Sunday following the first full moon after the vernal equinox. But fixing up the date of the Equinox was still a problem. The Alexandrians, noted for their rich knowledge in astronomical calculations were given the task. And March 21 was the perfect date for spring equinox. The dating of Easter today follows the same. Accordingly, churches in the West observe it on the first day of the full moon that occurs on or following the Spring equinox on March 21, so it became a movable feast between March 21 and April 25. 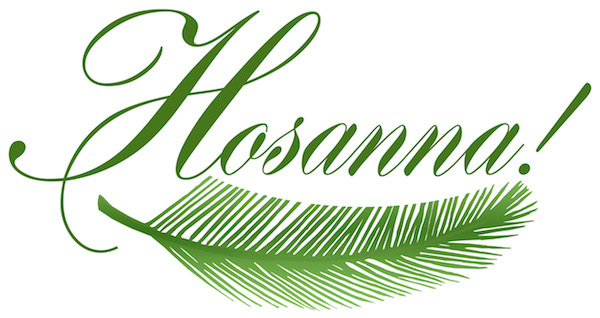 The week of Easter begins on Palm Sunday, seven days before Easter. 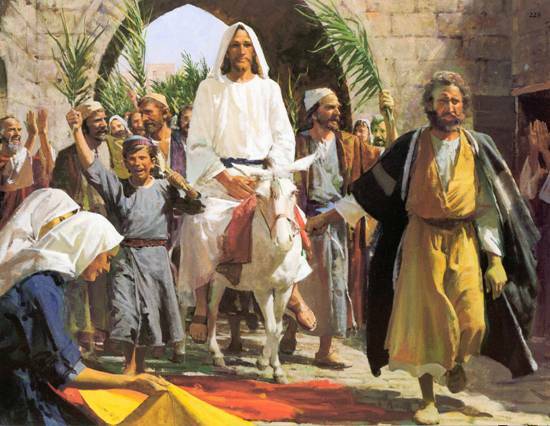 In Roman times it was customary to welcome royalty by waving palm branches, so when Jesus arrived in Jerusalem on what is now known as Palm Sunday, people welcomed him as the returning king while waving palm branches and carpeting the streets with them. Today on Palm Sunday Christians carry palm branches in parades, and make them into crosses and garlands to decorate the Church. Traditional foods served on Palm Sunday include figs because Jesus is said to have eaten figs on his entry into the city of Jerusalem. Some people still call this day Fig Sunday. In Wales the day is known as Sul y Blodau or Flowering Sunday because of the association with the flowering of the fig tree. Today is Palm Sunday. Does anyone celebrate in a special way? 2 Comments for Start coloring those eggs! Thanks for the amazing history lesson Sharon! What do you do for Palm Sunday? Nothing particularly special, actually. Our church has service, of course, and focuses on the Resurrection of Christ.